Tens of thousands of California clean air decal holders will lose their cherished “single occupant” access to the state’s carpool lanes at the end of this year – unless they buy or lease a new qualifying plug-in hybrid or zero emissions vehicle. California legislators last year passed a bill creating a new, rolling, three-year Clean Air Vehicle decal plan that eliminates eligibility for all vehicles with the green or white decals issued before Jan. 1, 2017. The stickers permit the cars to be legally operated in carpool lanes with only one occupant. The new decal program is intended to mitigate carpool lane congestion as more and more low- and zero-emission cars and trucks are sold by reducing the number of one-occupant cars entitled to use the state’s high occupancy vehicle, or HOV, lanes. Under the new rules all green and white clean air vehicle decals awarded before Jan. 1, 2019 will expire on that date. Because California only issues the decals one time per vehicle, only qualifying vehicles with stickers issued since the cutoff – or older qualifying vehicles that never before had a sticker – can get one of the new decals. HOV access stickers are highly valued by urban motorists trying to cope with the state’s jammed freeways. 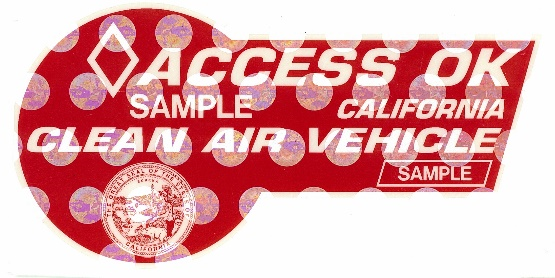 In the early days of the program, when conventional hybrids were allowed to participate in the California clean air decal program, used Prius models with clean air stickers typically sold for about $4,000 more in California than comparable models without the decals. Under present rules, only plug-in hybrids, battery- and fuel-cell electric vehicles and vehicles powered by dedicated compressed natural gas engines (not bi-fuel models), are eligible for the stickers. The state has been issuing a temporary sticker, colored red, since March 2018. Vehicle owners who have one of those are good until Jan. 1, 2022. Owners of qualified vehicles who were issued white or green decals between Jan. 1, 2017 and March 2018, will have to apply for a new sticker that also will be good until Jan 1, 2022. Stickers issued after Jan. 1 2019 will be valid until Jan. 1 of the fourth year after the year in which it was issued. Decals issued on January 1 and Dec. 31 in 2019, for instance, both would expire on Jan. 1, 2023. None of the stickers can be renewed, and unless extended by the legislature the program ends Sept. 30, 2025, when all decals issued after the start of 2022 also will expire. HI greencarguy. This might be obvious to some but a little cloudy to me. What sticker qualifies between the year 2023 and 2025? And did you say that the whole HOV sticker program for California ends in 2025? Meaning that’s it for any sort HOV incentive? I’m trying decide whether I should purchase or lease a car. I tend to keep cars longer but the HOV access is very important to me and could sway my decision one way or another. If it’s only good for the next 3-4 years, I may just lease. Thanks for having this thread. The law establishing the current Cal. Clean Air Vehicle decal program says decals are valid until Jan. 1 of the fourth calendar year after the year in which they are issued. So a decal issued anytime in 2019 would be valid until Jan. 1,2023. BUT the program expires Sept. 30, 2025. This means all decals that are valid on that date become invalid/null and void as of Oct. 1, 2025 – NO MATTER when they were issued. So a decal issued on Feb 1, 2025 would have a lifespan of only 8 months. A decal issued on Feb. 1, 2024 would have a lifespan of 20 months, etc. Any update on if out of state Hybrids qualify for CA car pool stickers in 2019? If the car never had a California Clean Air Vehicle decal and would otherwise qualify, then yes, you can get a new sticker for an out-of-state car. I had some confusion regarding the ‘issue’ date of my white HOV stickers. We purchased our car in November 2016 and submitted the application for the stickers in December 2016. My check posted on January 4, 2017 and I received my stickers shortly thereafter. Today I was told that the ‘issue’ date is actually the application date, so December 2016. How can this be? I did not have my stickers in December and could not use them until I actually received them. I just thought I would share my experience in case anyone else is in the same boat. I am hoping I can get some clarification on which cars are eligible for the purple sticker. If I purchase a Toyota Prius Plug-in 2012 that has never been issued a carpool sticker, it sounds like that kind of car still qualifies for a purple sticker? Also, the on the DMV website (https://www.dmv.ca.gov/portal/dmv/detail/vr/decal), under the column for the purple and red sticker, it says that ULEV cars are not longer eligible? But it does not define which cars are ULEVs? I’m so confused. If the car never had a Calif. Clean Air Vehicle decal, then you can get one. doesn’t matter how old the car is, as long as it would otherwise qualify for the sticker. As for your ULEV question – ULEV is now the 2nd dirtiest emissions designation in the state (LEV is the dirtiest). Every car, under the hood, should have an emissions sticker, and on the sticker the emissions level (LEV, ULEV, PZEV etc) will be listed. Typical locations re on the inner fender, on the radiator support or on the underside of the hood, generally toward the very front. Thanks John for the information and answers to the comments. I called SD County who said Fisker Karma’s were too low production and not tested. But it’s an Plug-in EV, with a Range Extender so should qualify, IMHO. Gen 2 Fisker Karma, the Karma Revero is the same low production vehicle, so it would not qualify either? A vehicle can’t qualify until the manufacturer applies to the California Air Resources Board for emissions certification, and Fisker so far has not done this. It can be an expensive process. Your gripe is with the factory, not the state. DMV should be able to tell you. I bought a 2017 Cmax energie in March this year 2018. I found out this week that the dealer applied and got the green sticker issued on Dec 21 2016….by this, dmv won’t allow me to renew green sticker…even the car I bought was brand new and purchased in 2018…devastating. Is there anyone I can ask. For or appeal to? Thanks. So sorry, DMV says the law makes no room for exceptions. If sticker was issued before Jan. 1, 2017, it cannot be renewed/replaced. I sent the application for renew my green sticker 4 weeks ago but never received the sticker yet. My green sticker was issued after Jan 2017. Where should i contact or check the status of processing? Does anyone receive renewed stickers? The DMV office that processes these applications has a lot of them to get through. They are promising to get them all out to people by the end of December, but beyond that can’t give me any methodology for telling when a particular sticker might arrive. You’ll just have to be patient. What’s wrong with this state? I have to bring a reused plastic bag to the store each time I go shopping. I buy a 100% electric car and its only good for a few years and the state wants me to buy a new car every three years? How about one buys an E-Car and the sticker is good for the cars life? There’s also another program that John didn’t mention. It’s rather arcane, but for those owners of low/no emission qualifying vehicles with incomes below 85% of California median income are eligible for stickers starting January 1, 2019. Even vehicles with stickers issued prior to 1/1/17 can get a sticker if the current income-qualified owner was not the owner when those stickers were issued for the vehicle. Because it’s unlikely too many people with sub-median incomes could afford an EV (well, maybe a used Leaf with 50 miles of range left), this part of the law is not well communicated. Hi, After reading all the rules and great Q&As above, I am still a bit confused on the new decal rule: is it right understanding that if I purchase a decal eligible EV (Tesla or Leaf for example), I will actually only have the decal for 4 years and 4 years only regardless of how long I actually keeps the vehicle? Starting from the 5th year, I won’t be able to get the decal no matter what? I am really torn between a gas car vs EV and this may change my decision significantly. Under rules as they are now written, all tickers issued after Jan. 1, 2019 expire on Jan. 1 of the fourth calendar year after they were issued – i.e., a Jan. 2, 2019 sticker and a Dec. 31, 2019 sticker both will expire on Jan. 1, 20203. A Jan. 1, 2020 sticker and a Sept. 1 2020 sticker both would expire Jan. 1, 2024, etc. So the earlier in the year you apply for a ticker, the longer you’ll hve to sue it (and yes, you have to have the car to get the sticker; you can’t just apply for a sticker and then go out and get a car). Unless the legislature extends things, the program ends in September, 2025 (end of the state’s fiscal year is why the odd timing). Will carpool actually work as intended, even with the extension of the program? Honestly, I’d love for the state to get rid of this extension and let carpool work as originally intended-for those of us that actually carpool. Having what should be a 35-40 minute commute extended to 1.5 hours because of this program is absurd and frustrating. Just to confirm, I bought electric vehicle on dec 2014 with white sticker. With this now expiring on Jan 2019, can I renew/apply for extension ? Sorry. The rules are clear. It has to be a sticker that was issued new on or after Jan. 1, 2017 in order to be “renewed” with a red sticker good until the end of 2021. A car with a sticker issued in 2014 just won’t cut it. I called the DMV about the green sticker on my 2014 Ford Fusion Energi that I bought in 8/2017. I gave her the VIN# and my plate # and she said she could not find any green sticker issued to the car, she also told me to go ahead and apply for the red sticker. Why do you think she was not able to locate it? No idea. Likely because someone made an error writing down the VIN no. somewhere along the line and it got misfiled. Or else she just didn’t try hard enough. I am planning to buy a 2017 Chevy Volt and would like to know if I will get the red sticker. I asked the dealer (CARMAX) to see if they know if the decals were issued after 1st Jan 2017 and they told me that they could not verify that information. Next I called the DMV (1-800-777-0133) and they told me to get in touch with their special processing unit @ 916-657-8055 but no one answers the phone call on that number. Is there any other way to check when the decals were issued? I looked at the carfax report and it seems that the car was purchased on 03/2017. Is it safe to assume that the decals would have been issued after the vehicle was purchased. If getting a new sticker is the only reason you are buying that car I’d hold off until I could get through to the processing unit and make sure. But given that it was sold three months into 2017 you’re probably okay. Just wanted to thank you for the most concise and accurate Q&A out there BY FAR! I’m in the pre-2017 boat with my 2014 Fusion Energi, with the “hey can I qualify now for a decal if I previously received a rebate but now exceed the wage cap” group. You totally helped solidify my understanding (i.e. ya…go buy a new car and just apply for the decal on January 2nd). New 2019 Fusion Energi in my near future. Crossing fingers that they extend the yet-to-be-decided-upon new decal color until September of 2025 (or at least June of 2024 when I retire). That would be fantastic…. Is it possible to purchase an qualifying electric vehicle 2018 (to qualify for manufacturer rebate), but not apply for the sticker until after Jan 1, 2019, so the sticker is eligible for the HOV lane for 4 years (as opposed to 3 years, if the sticker is issued in 2018)? It certainly is! It doesn’t matter when the qualifying vehicle is purchased, just when the decal is issued. So it makes all the sense in the world if you are buying in what’s left of 2018 to wait until the start of 2019 to send in your HOV sticker application. I am assuming this would also be the case for a used car that has not had HOV stickers previously issues to it? For example, if I buy a used 2017 electric car (e.g. Tesla, Leaf, etc), and apply for HOV stickers 1/1/19, then I would get the new color stickers, not the red ones? Thank you. This thread has been very helpful. I’m in the same boat. I purchased an all electric in July 2016 and got a white sticker. It expires in January. People who purchased the same vehicle 6 months after I did get to upgrade to a red sticker and keep it for another 3 years. So they essentially get a 4 year sticker while I got a 2.5 year sticker – for the same vehicle. I guess the State of CA doesn’t believe in equality. This is a law incentivizing the purchase of new vehicles. Why would my completely electric 2016 car lose the right to drive in the carpool lane if it were really about emissions? Hello, if I buy a used 2017 Prius prime with a green hov sticker, in 2018, would I be eligible to apply for a red hov CA sticker in 2019? I’ve read the CA dmv site which doesn’t seem to address this question. I’ve viewed other sites, but I’m not sure how accurate they are. One said if the previous owner claimed the clean air rebate then I would not qualify for the red hov sticker. Lastly, if the used car is 2017 I guess I would have to take their word that they received the green sticker in 2017 (not 2016)? I read that the red sticker renewal is only eligible for 2017 onward. If the sticker was issued after 1/1/17 then you can apply for a new red one. You can call the DMV’s customer service line, 1-800-777-0133, to find out when a sticker was issued- you’d probably need the decal’s serial number and perhaps the car’s VIN and license plate number as well. The either/or choice of decal or CAV Rebate only applies if you exceed the income cap, and the income cap applies to the applicant for the decal, which in this case would be you – not the previous owner. As buyer of a used PHEV you wouldn’t be able to apply for the rebate if it already was issued to the original buyer, but as you are the new owner you should be eligible for the red decal, regardless of income. Also, if you live in Southern Calif. Edison territory, you can qualify for a rebate of $450 even though you are the second owner. Check Edison’s site (https://evrebates.sce.com/cleanfuel) for more info. Other utilities might have similar rebates for EVs and PHEVs. John, sorry to bore you with another question that you probably already have answered. I have a 2015 Tesla. I just got the expiration letter on my white sticker issued in late 2015. I am planning on selling it in June of next year. Under the new rules will the buyer be able to get one of the new stickers? Bad news! If the sticker was issued before Jan. 1, 2017, it can’t be renewed/replaced – no matter if the car is sold to someone else. 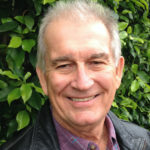 Should I sit tight – have others already received this application? Or could it be caught in limbo with the dealer? The car is a 2016 model so it is possible it sat on the lot for awhile and dealer got the decal and applied it before Jan. 1, 2017. In that case, you might be out of luck. Otherwise, unless the DMV never got your name as “owner” of the decal, you should get something in the mail. Note the website didn’t say the applications would definitely be mailed in October, just that they were “expected to be mailed in October…” Bureaucracies rarely move rapidly. Thanks for the reply, John! Feels strange to say I hope it’s just bureaucracy moving slowly. Official word from DMV – if dealer got decal before 1/1/17 you’re out of luck. To check date of issue for decal, call DMV customer service line at 1-800-777-0133. Or check with dealership – it should have record of when it got the decal. Hi, I went to a car dealership to look for a Honda Clarity Plug in 2018, which is on the eligible list, so I was thinking to buy it on Jan 1, 2019 to get a lower price because and to apply for the sticker next year, but he was saying that I need to buy it before the end of the year because all plug in models won’t qualify just full electric. I think this is false, correct? I think the salesman was trying to make a quick sale. You should report him to the General Manager at the dealership, and maybe report the dealership to Honda. Hi, I am also looking to purchase a clarity plugin hybrid. I am thinking of purchasing it in December 2018 and waiting to apply for the sticker until January 2019. However, I am unclear if the sticker is issued for the date on which you purchased the car or the date on which your application for the sticker is accepted. Does anyone know? Sticker is issued on date on the application. Doesn’t matter when the car was purchased. If I lease a CAV-eligible vehicle and the dealer applies for the rebate, can I still get the CAV decals? I am over the income limit to get both the CAV decals and the rebate. The dealer indicated that they would apply for the rebate anyway, and it wouldn’t matter to me. Is that correct or would this prevent me from getting the CAV decals? Hmmm… you don’t say whether you are leasing a battery EV or a fuel cell electric. IF a fuel cell, there is an either-or choice if you exceed the income limit, but if it is a battery-electric, then there is no rebate possible for those with high incomes, only a decal. But those are the rules when the owner and user are the same. In your case, with a leasing entity actually owning the car, I’m not absolutely sure and will have to check and get back to you. Got answer: The income cap applies to the applicant for the decal, so it wouldn’t matter if the dealer applied for the rebate. In fact, it is likely that the rebate the dealer is talking about is the federal tax credit, not the Calif. Clean Vehicle Rebate Project cash. However, it still matters whether you are getting a plug-in electric or a fuel-cell electric. If former, you can only get a decal – no rebate – if you exceed the income cap. 1. I want to buy an out of state 2015 Ford Fusion Energi. Since it never had California HOV stickers I should be able to get them here till 2022 yes? 2. Also, do you think if the car had Maryland HOV stickers this would make a difference? It was explained to me early on by a DMV spokesperson that an older vehicle that never had a sticker could still get one. But if getting the new sticker is the only reason you’d buy the ’15 Fusion Energi then I’d try to get an answer from DMV before I went ahead (I will check also and post answer here as soon as I get one. Also, I have no idea whether having had a sticker from another state would be disqualifying. See my previous comment. From the DMV: If it is an otherwise quaified vehicle that never had a Calif. Clean Air Vehicle decal before, you can get a new one. Doesn’t matter where the car was originally sold or whether it had another state’s HOV sticker. As long as it wasn’t a Calif. CAV decal, you are good to go. John, trying to understand the used car technicality. It seems that I can buy a used, qualifying car with existing stickers (as long as they were issued after 1/1/2017), transfer the stickers into my name, and apply for red stickers in 2019 for that car (details TBD). I can also wait till 2019 and buy a used car that has new red stickers on it, and transfer them into my name. Is that correct? So the only reason that I would consider getting a used car that never had stickers (out of state or otherwise) is to get an older model car? For example the 2015 Ford above would only qualify for the new red stickers if it never had stickers before… OR if its stickers were applied after 1/1/2017 (unlikely scenario). Am I correct? Thank you for the great writeup! Yes, yes, and sort of: Your comment refers to a 2015 Ford that is missing from the comment. I assume you mean a 2015 Ford EV or PHEV. the way the rules are written, you can buy a pre 2017 vehicle that would otherwise qualify and if that vehicle had never been issued an HOV sticker in Calif. (doesn’t matter if it had one in another state, Calif. doesn’t care) then you can apply for a new one. The DMV CAV Sticker Application (REG 1000) states: For a vehicle purchased on or after January 1, 2018, the Department of Motor Vehicles cannot issue a clean air decal to an applicant who HAS RECEIVED a consumer rebate, nor can an applicant participate in both the Clean Air Decal Program and the Clean Vehicle Rebate Project, pursuant to California Vehicle Code (CVC) §5205.5, unless the income restrictions for tax returns falls below: $150,000 for a single person, $204,000 for a head of household, and $300,000 for a joint tax return. (7) (b)(1) The department shall not issue a decal, label, or other identifier to an applicant who has received a consumer rebate pursuant to the Clean Vehicle Rebate Project, established as part of the Air Quality Improvement Program pursuant to Article 3 (commencing with Section 44274 ) of Chapter 8.9 of Part 5 of Division 26 of the Health and Safety Code, for a vehicle purchased on or after January 1, 2018, unless the rebate was issued to a buyer whose gross annual income falls below one hundred fifty thousand dollars ($150,000) for a person who files a tax return as a single person, two hundred four thousand dollars ($204,000) for a person who files a tax return as a head of household, and three hundred thousand dollars ($300,000) for a person who files a joint tax return. My understanding is that you can get rebates if you previously received them, as long as that was before Jan. 1, 2018. But I underscore the qualifier – my understanding. I have no official standing to interpret hard-to-deciper and horribly convoluted legalese. ALSO, you still have to meet the new income rules. Apologies – I misunderstood your question – you were asking about stickers, not rebate eligibility. The law says you can get a new CAV decal for a qualified car, regardless of income, unless you exceed the income cap(s) AND received a rebate for a vehicle purchased (or leased) on or after Jan.1 , 2018. So, if you bought a 2018 EV in 2018, and you fall under the income caps, then you can get a sticker for it even though you previously had one for a 2015 EV. If your income exceeds the cap, you can still get a sticker because your previous rebate was for a vehivle (2105 EV) purchased before Jan. 1, 2018. I purchased a new 2017 model year Ford C-Max Energi Plug-In Hybrid in February 2017 and obtained the green California Clean Air Decal-HOV sticker in April 2017. My understanding is that I can then apply for the new red HOV sticker as well since the car was purchased new in 2017. I now plan to purchase a Tesla Model 3 and to sell the C-Max Energi. Will the buyer of my used C-Max Energi also be eligible to apply for the new red HOV sticker? Or is the buyer ineligible because the car already has HOV stickers issued to the previous owner who purchased the car when new (me)? Yes to No. 1; and yup, buyer of C-Max energi can apply to renew. It doesn’t matter how many times a caris bought and sold, only thing that does matter is date the original sticker was issued. John, So if I buy a used plug-in with a sticker issued after 1/1/2017, I can apply for a red sticker that’s good through 1/1/2022. If the sticker was issued before 1/1/2017, it will expire on 1/1/2019. Correct? If eligible, can I wait and apply for the new sticker in January to pick up the extra year of eligibility? And thanks, I’ve looked at a dozen sites and articles, and this is the best explanation. Answer to first question is “Yes.” As to question #2 – my understanding is that renewal for ANY sticker issued between Jan. 1, 2017 and Dec. 31, 2018 will expire on Jan. 1, 2022 – regardless of when you apply for it. Sorry. Just purchased a used 2015 Plug In that came with green sticker. Not sure when sticker was applied. How does this all work for used cars, with stickers, that were purchased between 2017-2018? Once sticker was issued, that’s the date that sticks with it – the stickers are linked to the cars, not to owners, so doesn’t matter that you just bought it. As far as the law is concerned, it expired Jan. 1 2019 because it’s a sticker that was issued before Jan. 1 2017 (unless you can trace it back and prove it wasn’t issued until 2017 – more than a year and maybe 2 years after the car was first purchased). I am seriously considering purchasing a new 2018 Audi A3 E Tron Sportback. (Sept./Oct. 2018) I would postpone application of the carpool sticker until 2019, to maximize eligibility. My concern is that if the State “runs out” of stickers, I have just bought a nice car, but for no reason, as I currently drive a 2016-registered Ford Fusion Energi. I’m changing cars primarily to get 4 more years of carpool access. Great advice you provide in here. I’ve spent a lot of time attempting to understand theses rules, as they are quite convoluted to put it mildly! The state won’t run out of stickers. And yes, apply after Jan. 1, 2019 but as early in Jan. as you can so you get maximum eligibility. Nothing will happen to the car – but the sticker will expire, as will all pre-2017 stickers, and the car won’t be legal in California carpool lanes unless there are 2 or more people inside. Will my white POV sticker expire on Jan 1, 2019? Sorry, but as I understand the rules, yes, your Mirai’s white sticker will expire on Jan. 1, 2019. The law is pretty clear: ALL green and while stickers issued before Jan. 1, 2017 expire on Jan.1, 2019. Stickers issued between Jan 1, 2017 and Dec. 31, 2018, (including the red ones) can be renewed – once the renewal rules and applications are posted -and the renewal expires Jan. 1, 2022. All stickers issued on or after Jan. 1, 2019, are good until Jan.1 of the 4th year after their issue. So a sticker issued Jan 2, 2019 would expire on Jan. 1, 2023; a sticker issued on Dec. 30, 2019 also would expire on Jan. 1,2023, and a sticker issued Feb. 4, 2020 (or any date in 2020, for that matter)would expire Jan. 1, 2024. The program will end, for all stickers, on Jan, 1, 2025 – unless extended by the legislature. We bought a 2018 model Chrysler Pacifica hybrid this month i.e. Sept 2018, which is eligible for red-sticker as of now. I have been thinking of applying for HOV decal in Jan of 2019 so that it is valid till end of 2023 (as opposed to end of 2022 if I applied it this year). Is there a chance of Pacifica Hybrid losing the eligibility of red-sticker if I applied in 2019? And if so, will the 2018 Pacifica hybrid model bought in 2018 still be eligible for red sticker? The eligibility chart only shows the model year of the car, and not when the application for HOV decal was filed – so I am hoping even if 2019 model of Pacifica hybrid loses the eligibility, applying for HOV decal in 2019 for a 2018 model of Pacifica hybrid bought in 2018 should still be OK. Your strategy is a good one. At this point it make no sense to get a sticker now for a vehicle purchased in Sept. because you would lose 9 months of eligibility. Apply in January and get four full years. Even if Chrysler’s 2019 Pacific somehow didn’t make the cut, your 2018 would, so no worries there. I drive CNG, cleaner than many of the now qualifying vehicles they want to sell me. I’ll be writing letters and making phone calls about this unjust new program. The folks in the regular lanes have no idea what is about to hit them come January1! If anyone knows of an existing coordinated effort to fight this new law, please advise! Thanks! Have application rules and forms been published yet for vehicles who were issued white or green decals between Jan. 1, 2017 and March 2018. I have green sticker issued in December of 2017 and want to apply for the red sticker before it runs out Jan 1st. They have not yet been published. As I understand the rules, you can keep using stickers issued in 2017 and this year until the new application and sticker color/design are published. To check the state’s progress in getting the new applications posted, pay a weekly visit to this site: https://www.arb.ca.gov/msprog/carpool/carpool.htm. TheGreenCarGuy will also post an article as soon as there’s something to write about. Having bought my PHEV in 2016, and paying the premium price for the plug in, I feel that the new law is unjust in cutting off the 2016s from the car pool lane stickers. Since I bought my car, I have averaged about 77 MPG, which is great even by today’s standards. When the car pool lane stickers expire, I might just start putting gas back into the car and quit plugging it in as a protest. I have solar panels on the house and have the car set to charge during evening hours. What a shame the State wants to jeopardize these efforts. I leased an i3 in March 2018…applied for a red sticker. Just got it in July 2018 and the documentation that came with it says “Valid until Jan 2019″(!) 6 MONTHS? really?? When I look online… theres an amendment that says 2022. Ihave the clea air vehicle certificate that says jan 2019…. Does anyone know?? Did CA just typo my certificate? cuz this is wierd…. why issue a red decal on Dec 28,2018 to have it expire 2 days later on Jan 1, 2019. Anyone know?? Not a typo, just typical bureaucratic inability to do things simply. As the article above says, your sticker issued July 2018 will be good until Jan. 1, 2019. You will be able to apply for a replacement sticker sometime around then – the application period hasn’t opened yet, the DMV website should post a notice when it is – but your replacement will expire Jan. 1, 2022. Owners of qualified vehicles who were issued white or green decals between Jan. 1, 2017 and March 2018 will have to apply for the new sticker, which will be good until Jan 1, 2022. Application rules and forms have not yet been published. None of the stickers can be renewed and unless extended by the legislature the program ends Sept. 30, 2025, when all decals issued after the start of 2022 also will expire. Is it possible to inquire about an old vehicle to check if it was ever given a sticker using the VIN number? Is there a number to call for that kind of verification? Just got word from the California DMV: Short answer, nope. You have to trust the seller of an unstickered but qualified car (a lot of used Teslas don’t have ’em) to be telling the truth about no previous sticker being issued.